We are delighted to be playing at the London Road campus of Shrewsbury College of Art and Technology. There are two entrances to the site, the main parking area is at the A5 end of the site. There should be ample parking in the evening. There are front and rear Reception doors, enter via the front Reception door by simply walking from the car park to the front of the building, go past Origin Restauant and take the pathways to Reception. When you arrive at Reception area you will be guided to the left to a lift, this takes you to the entrance of Clayton Hall. The ticket desk and programmes will be just inside the Hall NOT in the Reception area. ONE of the UK’s most versatile violinists has agreed to perform the Sibelius violin concerto with Shrewsbury Symphony Orchestra in March. South-African born Zoë Beyers, who now lives in Shrewsbury, performs as soloist, chamber musician, director and orchestral leader across the world. She recently recorded and filmed Vaughan Williams’ The Lark Ascending with the City of Birmingham Symphony Orchestra for Sky Arts. Zoë will be performing Sibelius’ violin concerto with the SSO on March 28 at 7.30pm. The concerto, in D minor, was written in 1904 and is Sibelius’ only concerto. It is notoriously difficult for the solo violin, containing virtuoso sections of extaordinary technical difficulty. The third movement is widely considered one of the greatest concerto movements written for the instrument. Zoë said: "I’m very excited to play the Sibelius Concerto with the SSO. No other concerto for the violin manages to combine traditional folk fiddle music with technical virtuosity quite as successfully as this one - but the fireworks never get in the way of the music. It’s more of a symphony for violin and orchestra, full of colour and emotion." Since her solo debut aged eleven with the Swedish Chamber Orchestra under Paavo Järvi, Zoë has performed with many distinguished conductors throughout Europe and Africa. Recent highlights include Sir Peter Maxwell Davies’ A Spell for Green Corn, Sibelius and Korngold concerti with the Norwich Philharmonic Orchestra, Prokofiev’s 2nd Violin concerto and the Walton concerto with the Corinthian Chamber Orchestra and Michael Seal, and Milhaud’s Cinema Fantaise on Le Boef sur le Toit with the English Symphony Orchestra. Zoë is the violinist of the internationally renowned Hebrides Ensemble, and also performs, broadcasts and records with the Birmingham Contemporary Music Group the Scottish Ensemble, and I Musicanti. She has collaborated with Francois Leleux, Stephen Osborne, Lars Vogt, Elisabeth Leonskaja and Alexander Janiczek, and composers Helen Grime, Oliver Knussen, Sir Peter Maxwell Davies and Sir James Macmillan. Her 2017 recording of Maxwell Davies’s late chamber works with the Hebrides Ensemble, entitled The Last Island (for Delphian), has been featured on BBC Radio 3 and attracted top ranking reviews in The Times, The Guardian and BBC Music Magazine. In 2018 Zoë will tour Israel with the Nash Ensemble and record a disc of Scottish composer Nigel Osborne’s chamber works with the Hebrides Ensemble. The 2017/2018 season sees Zoë performing with the English Symphony Orchestra both as their newly appointed concertmaster and as a director and soloist. Zoë relishes the challenge of directing from the violin: her recording of early Mendelssohn concerti with the University of Stellenbosch Camerata was nominated for a SAMA award in 2011; her 2013 recording of Wassenaer concerti armonici (directing the Innovation Chamber Ensemble for Somm Records) was Classic FM’s CD of the week, and their 2014 disc of rare Elgar works was received with critical acclaim. As an orchestral leader, Zoë performs regularly with the City of Birmingham Symphony Orchestra, the BBC Philharmonicand Symphony Orchestras, the Philharmonia, the Scottish Chamber Orchestra and the Aurora Orchestra. She has played as leader on several highly regarded recordings with Andris Nelsons, Juano Mena and John Storgards, most recently on discs of de Falla and Ginastera with Mena and the BBC Philharmonic for Chandos. She is dedicated to performing the music of contemporary composers and is involved in the commissioning and premiering of several new works. Anglo-Italian pianist Vincent Barrella studied at the Royal Academy of Music before embarking upon a busy soloist and teaching career. In recognition for services to music and for his outstanding concert work, especially with young musicians, he was awarded the prestigious ARAM, Associate of the Royal Academy of Music in 2001, one of the highest awards for former students. He has appeared as official accompanist in many masterclasses and in recitals at the BBC (Radio 3 Live), Radio Kent, Wigmore Hall, Purcell Room, St John’s Smith Square, Meridian TV and BBC Young Musician of the Year (televised rounds). His solo work has included appearances with the London Philharmonic (Alfriston Festival 2009), Tonbridge Philharmonic Orchestra, Kent County Youth Orchestra and Dartford Symphony Orchestra, as well as professional recordings for television (Poirot, 2013). He is the current head of keyboard studies at Highgate School, London and a visiting piano teacher at Tonbridge School. He was elected to be a member of the Examiners Panel for ABRSM in 2004 and has served as lead judge for the Finals of the Rotary Club ‘Young Musician of the Year’. The review from our latest concert is now on the website written by Bob Wysome. For our next concert, Robert Daws will narrate Prokofiev's Peter and the Wolf. As an actor, Robert Daws has appeared in leading roles in a number of award-winning and long-running British television series, including Jeeves and Wooster, Casualty, The House of Eliott, Outside Edge, Roger Roger, Sword of Honour, Take A Girl Like You, Doc Martin, New Tricks, Midsomer Murders, Rock and Chips, The Royal, Death in Paradise, Father Brown and Poldark. Robert’s second and third Sullivan and Broderick novels – Poisoned Rock and Killing Rock – will be published in September 2016 and early 2017, respectively. His first novella, The Rock, has been optioned and is being developed for television. Sir David Lees has kindly accepted the orchestra’s invitation to take up the position of President. This will last for a 3 year duration, renewable by both parties every 3 year term. Director of three FTSE 100 Index companies . . . former head of the CBI’s economic affairs committee . . . and until summer 2014, was chairman of the Bank of England’s court. Despite having officially ‘retired’, in 2014 long-time Shropshire resident Sir David added chairing the advisory board which helped to shape the University Centre of Shrewsbury. Sir David Lees was educated at Charterhouse, Godalming, Surrey. He trained as a Chartered Accountant and became a Fellow of the Institute of Chartered Accountants in 1962. Prior to joining Binder Hamlyn he was a 2nd Lieutenant in the Royal Artillery from 1955-57. From 1964-68 Sir David was Chief Accountant at Handley Page Limited. Sir David joined the GKN Group in 1970 as Chief Accountant at GKN Sankey Limited, becoming Director, Secretary, Controller from 1973-76. He moved to GKN pic as Group Finance Executive in 1976, becoming Finance Director in 1982. He became Chairman and Chief Executive in May 1988. He retired as Chief Executive at the end of 1996 but continued as Chairman until May 2004. Sir David became Chairman of Tate & Lyle PLC in October 1998 and retired in July 2009. In August 2005 he was appointed a Non-Executive Director of QinetiQ Group pic and was appointed Deputy Chairman in September 2005 retiring in January 2012. In June 2009 Sir David was appointed Chairman of the Court of the Bank of England. From March 1991 to May 1999 he was a Non-Executive Director of the Bank of England. Sir David was Chairman of Courtaulds plc from July 1996 to September 1998, having been a Non-Executive Director since 1991. In March 1998, he was appointed to the Board of the Royal Opera House retiring in August 2008. In June 2001 he was appointed to The Panel on Takeovers and Mergers. He became a Governor of Shrewsbury School in 1986 and Chairman of the Governing Body in 2004 retiring at the end of 2007. He remains involved in its international development, first in Bangkok and more recently in Hong Kong. Sir David was appointed a Knight Bachelor in The Queen’s Birthday Honours List in July 1991. In July 1996, Sir David received the Officer’s Cross of the Order of Merit of the Federal Republic of Germany and in 1999 received The ICAEW Award for Outstanding Achievement. In November 2007, he was commissioned to be a Deputy Lieutenant of Shropshire. He became The Honorary Patron of Shrewsbury Town FC in January 2010. Married with two sons, a daughter and nine grand children. Sir David relaxes by watching football, playing golf, listening to music and going to the opera. Our forthcoming concert on Wednesday 2nd December welcomes back Viv McLean who will perform Schumann's Piano Concerto in A Minor. Viv’s concerto work includes appearances with the Royal Philharmonic Orchestra, Philharmonia Orchestra, London Philharmonic Orchestra, Halle Orchestra, English Chamber Orchestra, BBC Concert Orchestra, Sinfonia Viva, Orchestra of the Swan, London Concert Orchestra, Scottish Concert Orchestra and the National Musicians' Symphony Orchestra. Recent concerto highlights include Mozart K. 467 with the English Chamber Orchestra at the Royal Festival Hall, Grieg with the London Philharmonic Orchestra at the Barbican, a tour of the USA with the Royal Philharmonic Orchestra performing Gershwin, Rachmaninov’s 3rd Concerto with the RPO in Cambridge, Gershwin and Bernstein with the Hallé at the Bridgewater Hall, Manchester and Beethoven's 5th Concerto with the Philharmonia at the Royal Festival Hall. Viv has performed chamber music with leading groups such as the Ysaye String Quartet, the Sacconi String Quartet, Ensemble 360, the Galliard Wind Ensemble and the Leopold String Trio and has collaborated with musicians such as Natalie Clein, Marianne Thorsen, Daniel Hope, Lawrence Power, Eijin Nimura, Phillip Dukes, Matthew Sharp, Kate Gould, Guy Johnston, Richard Dubugnon, David Le Page, Wayne Marshall, Christopher Warren-Green, Owain Arwell Hughes, David Charles Abell, Carl Davis and Marvin Hamlisch. The pianist Viv McLean never faltered, spewing molten lava. We are looking forward to the 2015/2016 season of concerts. We are especially excited to welcome our guest soloist Jennifer Pike who will perform Elgar's Violin Concerto with us. Jennifer Pike took the musical world by storm with her unique artistry and compelling insight into music. She gained international acclaim in 2002, when aged 12 she became the youngest-ever winner of the BBC Young Musician of the Year and the youngest major prizewinner in the Menuhin International Violin Competition. At 15 she made debuts at the BBC Proms and Wigmore Hall, soon after becoming a BBC New Generation Artist, winner of the international London Music Masters Award. She is the only classical artist ever to win the South Bank Show/Times Breakthrough Award. Passionate about helping young people from all backgrounds enhance their lives through music, she is an Ambassador for the Prince’s Trust and Patron of the City Music Foundation. Jennifer is in much demand as soloist with top orchestras worldwide and recently released the Sibelius with the Bergen Philharmonic and Sir Andrew Davis on Chandos. The Orchestra are very grateful to Bob Wysome for reviewing our concerts. Our next concert is on Saturday 20th June 2015 with the Shrewsbury School Community Choir at The Abbey in Shrewsbury. Thank you to our audience and helpers for another wonderful concert at The Abbey in Shrewsbury. The orchestra are delighted that Naomi Harvey will be returning to perform the Strauss Four Songs with us at our first concert of 2015.
the world première of James McCarthy's Codebreaker at the Barbican Hall, London, soprano soloist in The World of Opera with the Orchestra of Welsh National Opera, the title role in Aida at Shrewsbury Abbey, and the soprano solo in Verdi Requiem at Sherborne Abbey. Ms. Harvey’s previous seasons highlights include Marschallin Der Rosenkavalier, Elisabetta Don Carlos, Leonora Il Trovatore, Giorgetta Il Tabarro, the title role in Tosca, Desdemona Otello, Alice Ford Falstaff, Blanche Dialogues des carmélites, Violetta La Traviata, Liu Turandot, Mimi La Bohème, Erste Dame Die Zauberflöte, Micaela Carmen, Hanna Glawari The Merry Widow, Marcellina Le nozze di Figaro, and Berta Il barbiere di Siviglia (Welsh National Opera); Emilia Marty The Markopulos Case, Donna Anna Don Giovanni, Micaela Carmen and Mimi La bohème (English National Opera); Tina Flight (Glyndebourne Festival Opera); Magda The Consul and Donna Anna Don Giovanni (Opera Holland Park); Isabella Jobling in the world première of Will Todd’s The Blackened Man (Royal Opera House, Covent Garden); Ismene Mitridate (Opera Monte Carlo); Mimi & Musetta La bohème, and Alice Ford Falstaff (English Touring Opera); Violetta La Traviata and the title role in Tosca (Mid Wales Opera); Rosalinda Die Fledermaus (on tour in the USA), Ellen Orford Peter Grimes (Canterbury Festival). An experienced concert artist, Naomi has performed at many leading concert halls internationally, highlights include gala concerts with the Royal Philharmonic Orchestra at Queen Elisabeth Hall, London, and Symphony Hall, Birmingham, Verdi Requiem, Tippett A Child Of Our Time, Britten Spring Symphony, Vaughn-Williams Sea Symphony, Janacek Glagolitic Mass and Beethoven Mass in C at the Barbican Hall, London, Mahler 8th Symphony at the Royal Festival Hall and Ely Cathedral, Will Todd’s The Burning Road at The Sage, Gateshead, and is a regular guest soloist with the BBC Concert Orchestra for Friday Night is Music Night (BBC Radio 2). Further concert repertoire includes Beethoven 9th Symphony, Mahler 4th Symphony, Strauss Four Last Songs, Bruckner and Dvorak Te Deum, Britten War Requiem, Orff’s Carmina Burana, Handel’s Messiah and Samson, Mendelssohn Elijah, Mozart Requiem and Exultate Jubilate, and Brahms German Requiem. In the 2015 season Naomi will make her Scottish Opera début, and also returns to the Royal Opera House, Covent Garden, English National Opera, and Welsh National Opera. Brought up in Turkey and England, Michael Bochmann has been well known in British musical life for several decades. He has performed in the USA, all over Europe and in India. While still a student Michael was a finalist and winner of the British Prize in the 1972 Carl Flesch International Violin Competition. A year later, he was a prizewinner in the Jacques Thibaud Competition in Paris. At only 19, he made his first solo broadcasts for the BBC. During his time as a student at the Royal Academy of Music in London he was a pupil of the famous teacher Frederick Grinke. Later he received lessons from Sándor Végh and Henryk Szeryng. In February 1990 Michael partnered Sir Yehudi Menuhin in the Bach Double Violin Concerto in a most successful tour of 16 concerts throughout the USA and Canada. His appearances as a soloist throughout Britain have taken him to major concert venues such as the Royal Festival Hall, Queen Elizabeth Hall and St. James's Palace, London; Gloucester, Hereford and Worcester Cathedrals; Tewkesbury Abbey in the Three Choirs Festival; Symphony Hall, Birmingham, Bridgewater Hall in Manchester and the Glasgow Royal Concert Hall. He frequently directs the English String Orchestra and has performed as soloist with them many times in the UK and abroad. His recording of “The Lark Ascending” by Vaughan Williams with the ESO on the Nimbus label has been broadcast many times on Radio 3 and Classic FM. He formed the Bochmann Quartet in 1977 with which he made over 50 broadcasts within their first 10 years. He has an immensely successful duo partnership with the harpist, David Watkins. Their recent CD ‘Sacred and Profane” is a favourite on Classic FM. Michael performs with several pianists, most recently making a recording of short pieces “Rondino I” with Michael Blackmore. 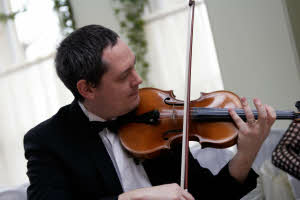 He is very active as a teacher and is a professor of violin and chamber music at Trinity College of Music in London. He also gives private lessons, master classes and residential courses at his home in Gloucestershire. He recently he visited Portugal, Turkey, Mexico and Germany to teach and play. This season he is performing in France, Italy and S. Africa. Sam Pearce studied the french horn at the Royal College of Music under Julian Baker, Simon Rayner and Timothy Jones. Since his graduation in 2010 he has enjoyed a varied career as a freelance musician, performing with many leading British orchestras. 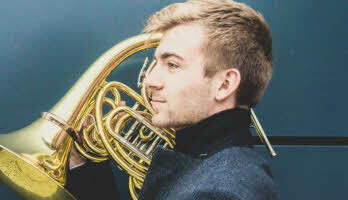 He is the principal horn of the Orchestra of St. Paul's, the Orpheus Sinfonia, and has appeared on many occasions with the Philharmonia Orchestra (as both third horn and guest principal), the BBC Symphony Orchestra, and the Aurora Orchestra. He can also be heard on the soundtrack to the Tom Cruise film 'Edge of Tomorrow', currently showing in cinemas worldwide. For more information, please see our Sponsors page. We're very grateful to Bob Wysome for reviewing our latest concert for us. Those who knew Bridget Downer will be saddened to learn that she died in the first week of April 2013 at the Radbrook Nursing Home in Shrewsbury. The funeral will be on Thursday 18th April at 1pm in St Eata's church, Atcham. Bridget was at various times the Orchestra's Chairman and Secretary, and over many decades she did a huge amount of work to ensure the smooth running of the Orchestra. 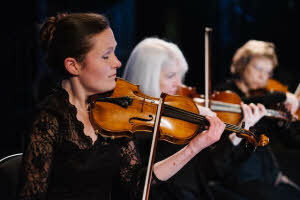 She also led the viola section until she retired from playing in 2000 owing to ill health. Shrewsbury Symphony Orchestra announce a line up of international soloists for the concert performance of Verdi’s Opera Aida. Professional Opera singers from around the world will join the Shrewsbury Symphony Orchestra and the Shrewsbury Community Choir for a concert performance of Giuseppe Verdi’s ever popular grand opera set in ancient Egypt. Naomi Harvey (Soprano) was born and educated in Cornwall, Naomi studied with William McAlpine at GSMD. She has performed leading roles with Welsh National Opera, English Touring Opera, Mid-Wales Opera, The Royal Opera House, Neath Opera and many others. This year Naomi returns to WNO for Le Nozze di Figaro and ENO for The Flying Dutchman, and other work includes The Kingdom by Elgar in Worcester Cathedral in June, and Beethoven’s Missa Solemnis at St Alban’s Abbey in October. Zealand and for the BBC . He has partnered crossover artist Hayley Westenra. Recent and future engagements include Rodolfo in La Boheme for WNO, Radames in Aida for Opéra de Baugé and Der Steuermann in the Flying Dutchman for NBR NZ Opera . Born in Tasmania, Simon Thorpe (Baritone) studied at the Guildhall School of Music, where he was awarded the Harold Rosenthal Prize. He spent a year at the National Opera Studio. A finalist in the Kathleen Ferrier Competition, he now studies with Robert Dean. He has performed leading roles with Scottish Opera, English Touring Opera, Welsh National Opera, Opera North, Opera Australia, State Opera of South Australia and others. Current engagements include Don Pizarro (Fidelio) for Opéra de Baugé, Escamillo (Carmen) for the State Opera of South Australia, Amonasro (Aida) for Lyric Opera, Dublin, Herald (Lohengrin) for the Opéra de Toulon and Welsh National Opera, Melot (Tristan und Isolde) for Welsh National Opera and Last Night of the Christmas Proms for Raymond Gubbay Ltd.
Kathryn Turpin (Mezzo-soprano) was born in Mid Wales, Kathryn read History of Art at Cambridge before studying at the Royal College of Music. She made her Royal Opera debut in January 2000 as Lady de Hautdesert (Gawain). 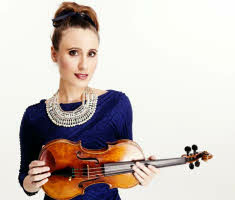 She has performed throughout the UK, Europe and the Far East working with orchestras including the Academy of St Martin in the Fields, the Bournemouth Sinfonietta, the CBSO, Hanover Band, London Mozart Players, London Sinfonietta, Orchestra of the Age of Enlightenment and the Royal Philharmonic Orchestra. Kathryn has broadcast on Classic FM and Radio 3 and her recordings include Copland In the Beginning and the Duruflé Requiem with the Choir of St John’s College, Cambridge. Recent performances have included the world première of the one act opera Magic Potions by Jacques Cohen for the Tête à tête opera festival and The Armed Man for the Aberystwyth Choral Union.